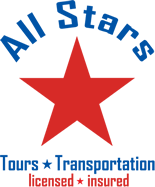 Agreement Between Customer and All Stars Tours and Transportation. Thank you for accessing the website located at allstarstransportation.com, ftlauderdale-airportshuttle.com or one of the All Stars Tours and Transportation affiliated websites ( the “Website”) As used herein, “All Stars Tours” collectively refers to All Stars Tours and Transportation, Inc., One Purpose Transportation, LLC., and any other member or affiliate of the All Stars Tours and Transportation Inc., This Website is provided solely to assist customers of All Stars Tours in gathering information regarding the services provided by All Stars Tours on the Website, determining the availability of such services, making legitimate reservations for such services, retrieving online ride receipts or otherwise transacting business with All Stars Tours (“Legitimate Business”) and for no other purposes. The terms “we”, “us”, and “our” refer to All Stars Tours and Transportation, Inc., The term “you” refers to the customer visiting this Website or booking a reservation through All Stars Tours on this Website. This Website is a service offered to you conditioned upon your acceptance without modification of all the terms, conditions, and notices set forth below (collectively, the “Agreement”). Please read this Agreement carefully. All Stars Tours may at any time, at its sole discretion, without notice to you, revise or otherwise modify this Agreement, and your continued access or use of this Website signifies your acceptance of the revised or modified Agreement. No cancellations fees will be assessed if the reservation is cancelled at least 24 hours to reservation Scheduled dated. If reservation is cancelled within less than 24 hours prior to reservation date you will be assessed 100% percent of charges. All Stars Tours retains the right at its sole discretion to deny any individual or entity access to this Website and the services provided hereunder at any time and for any reason, including, but not limited to, for violation of this Agreement. 7. “Frame”, “mirror” or otherwise incorporate any part of this Website into any other website without our prior written authorization. As a condition of using this Website, you warrant to All Stars Tours that you will not use this Website for any purpose that is unlawful or prohibited by these terms, conditions and notices or by federal, state, local or international law. All Stars Tours reserves the right to deny, in its sole discretion, any user access to this Website or any portion thereof without notice. 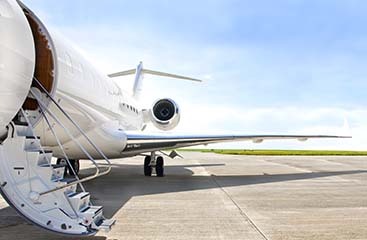 additionally, separate terms and conditions may apply to the reservation and purchase of the individual shuttle, car, chauffeur or other services that you book through this Website. Please read any provided separate terms and conditions carefully. You agree to abide by the terms and conditions of purchase imposed by any provider with whom you elect to deal, including, but not limited to, payment of all amounts when due and compliance with the provider’s rules and restrictions regarding availability, costs, and use of services. ALL STARS TOURS GENERALLY: THE MATERIALS AND INFORMATION YOU FIND ON THIS WEBSITE ARE PROVIDED “AS IS”, WITHOUT WARRANTY OF ANY KIND, EITHER EXPRESS OR IMPLIED, INCLUDING WITHOUT LIMITATION ANY WARRANTY FOR INFORMATION, SERVICES, OR PRODUCTS PROVIDED THROUGH OR IN CONNECTION WITH THIS WEBSITE AND ANY IMPLIED WARRANTIES OF MERCHANTABILITY, FITNESS FOR A PARTICULAR PURPOSE, OR NON-INFRINGEMENT. IN NO EVENT SHALL All Stars Tours BE LIABLE FOR ANY DIRECT, INDIRECT, PUNITIVE, INCIDENTAL, SPECIAL, OR CONSEQUENTIAL DAMAGES ARISING OUT OF, OR IN ANY WAY CONNECTED WITH, YOUR ACCESS TO, DISPLAY OF OR USE OF THIS WEBSITE OR WITH THE DELAY OR INABILITY TO ACCESS, DISPLAY OR USE THIS WEBSITE (INCLUDING, BUT NOT LIMITED TO, ANY COMPUTER VIRUSES, INFORMATION, SOFTWARE, LINKED SITES, PRODUCTS, AND SERVICES OBTAINED THROUGH THIS WEBSITE; OR OTHERWISE ARISING OUT OF THE ACCESS TO, DISPLAY OF OR USE OF THIS WEBSITE) OR WITH THE SERVICES PROVIDED AS A RESULT OF A RESERVATION MADE ON THIS WEBSITE, WHETHER BASED ON A THEORY OF NEGLIGENCE, CONTRACT, TORT, STRICT LIABILITY, OR OTHERWISE, AND EVEN ALL STARS TOURS HAS BEEN ADVISED OF THE POSSIBILITY OF SUCH DAMAGES. ANY RISK ARISING OUT OF USE OR PERFORMANCE OF THE INFORMATION, SERVICES, MATERIALS, SOFTWARE, OR OTHER ITEMS REMAINS ENTIRELY WITH YOU. UNDER NO CIRCUMSTANCES WILL ALL STARS TOURS BE LIABLE FOR ANY DAMAGES WHATSOEVER ARISING OUT OF THE USE OR PERFORMANCE OF THE INFORMATION, SERVICES, SOFTWARE, OR OTHER ITEMS. The limitation of liability reflects the allocation of risk between the parties. The limitations specified in this section will survive and apply even if any limited remedy specified in these terms is found to have failed of its essential purpose. The limitations of liability provided in these terms inure to the benefit of All Stars Tours. Some jurisdictions do not allow the exclusion of implied warranties, so the above exclusion may not apply to you. This disclaimer of liability applies to any damages or injury caused by any failure of performance or non-performance, error, omission, interruption, deletion, defect, delay in operation or transmission, computer virus, communication line failure, theft or destruction or unauthorized access to, alteration of, or use of record, whether for breach of contract, tortious behavior, negligence, or under any other cause of action. You specifically acknowledge that All Stars Tours is not liable for your defamatory, offensive, infringing or illegal materials or conduct, or that of third parties, and All Stars Tours reserves the right to remove such materials from the Website without liability. Making or booking a reservation for transportation services on this site does not guaranty the availability of the travel transportation services. All Stars Tours reserves the right to unilaterally cancel any reservation or booking for transportation services made on this Website. Under no circumstances including negligence, shall All Stars Tours, any of its respective shareholders, officers, directors, employees or agents be liable for any incidental, special or consequential damages that result from the use of this Website or the failure to provide transportation services reserved or booked on this Website. If, notwithstanding the foregoing, should All Stars Tours and Transportation, Inc. or any of its respective shareholders, officers, directors, employees or agents be found liable for any loss or damage which arises out of or is in any way connected with any of the above described functions or uses of this Website or its contents, including without limitation any failure to provide transportation services, the liability of any such party shall in no event exceed the greater of (a) the value of the transportation booked, or (b) the transaction fees assessed for your transactions on this Website. Some states do not allow limitation of liability, so the foregoing may not apply to you. Luggage is designed to protect its contents. As such, All Stars Tours assumes no liability for minor damage, such as scratches, scuffs, stains, dents, cuts and dirt resulting from normal wear and tear. Small items are left in our vehicles most often (cell phones, Medicine, cameras, Wallets small bags and sunglasses, in particular). 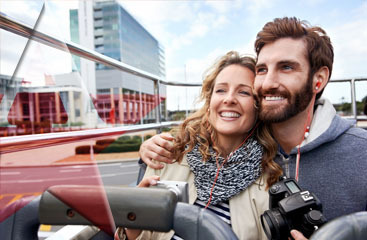 Choosing to use this transportation service (All Stars Tours and Transportation Inc.) signifies that you agree to be bound by the terms and conditions set forth in this agreement. If you do not agree with these terms, you must exit this website immediately. All Stars Tours encourages you to share your comments and questions with us by mailing them to our corporate office. All Stars Tours makes every effort to read mail sent to our offices and to respond to the sender within an appropriate time. All Stars Tours will assume no responsibility, however, for reviewing unsolicited ideas for our business (for example product or advertising ideas) and will not incur any liability as a result of any similarities that may appear in future All Stars Tours programs. Also, please remember that you are responsible for whatever material you submit, and that you, not All Stars, have full responsibility for the message, including its reliability, originality, and copyright. Please do not reveal trade secrets or other confidential information in your messages. Any and all rights to materials and ideas submitted to use become the exclusive property of All Stars. To contact us by mail, please address letters to: All Stars Tours and Transportation Inc., PO BOX 22477 Fort Lauderdale FL 33335. This Website is operated by a U.S. entity and this Agreement is governed by the laws of the State of Florida, USA, without regard to principals of conflicts of laws. You hereby consent to the exclusive jurisdiction and venue of courts in Broward County, Florida, USA, in all disputes arising out of or relating to the use of this Website. Use of this Website is unauthorized in any jurisdiction that does not give effect to all provisions of these terms and conditions, including, without limitation, this paragraph. You agree that no joint venture, partnership, or employment relationship exists between you and All Stars Tours as a result of this Agreement or use of this Website. This Agreement (and any other terms and conditions referenced herein) constitutes the entire agreement between you and All Stars Tours with respect to this Website and it supersedes all prior or contemporaneous communications and proposals, whether electronic, oral, or written, between the customer and All Stars Tours with respect to this Website. A printed version of this Agreement and of any notice given in electronic form shall be admissible in judicial or administrative proceedings based upon or relating to this Agreement to the same extent and subject to the same conditions as other business documents and records originally generated and maintained in printed form. ©2012 All Stars Tours and Transportation Inc. All rights reserved.